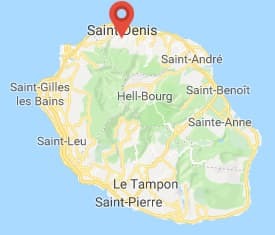 The Résidence les Manguiers is a facility that will meet the needs of all travelers looking for tourist accommodation as it offers comfort, peace, autonomy (fully equipped apartments and studios), and being close to all the amenities and activities of a large city like Saint-Denis, the capital of the island of Reunion Island. 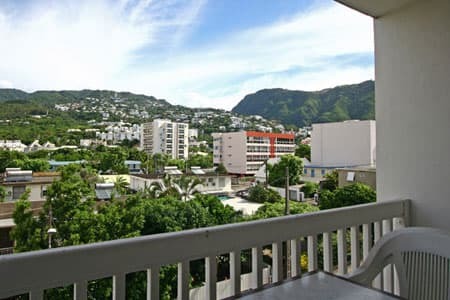 It is also the ideal base for those wishing to settle in Reunion, awaiting permanent housing. Located in Saint-Denis, the Résidence les Manguiers provides a framework for a peaceful stay, just steps from the bustling downtown center. In Creole style and colors, the Résidence les Manguiers is a place where you will feel at home. 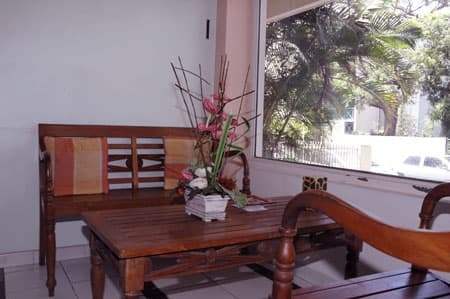 Spread over three floors, 20 apartments and two studios can accommodate up to 4 people each, on areas ranging from 25 square meters to 35 square meters, according to the space needed by travelers and tourist groups. 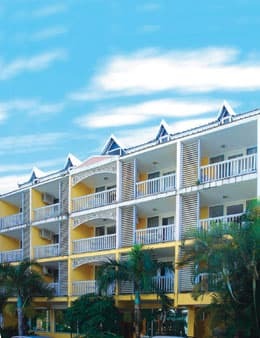 The apartments and studios in the residence feature a fully equipped kitchen, a balcony, a living room with a pullout sofa (sofa bed sleeping two persons) and a bedroom with a double bed. Enjoying a privileged location right in the city center, close to the Jardin de l’Etat of Saint Denis, the residence is close to all amenities (transport, laundry, etc…) and close to the shops you might need during your stay at the Résidence les Manguiers (supermarkets, markets, souvenir shops, post office, butcher, parking spaces, restaurants, bars, etc...). Photo 1 : Welcome to the Residence les Manguiers! 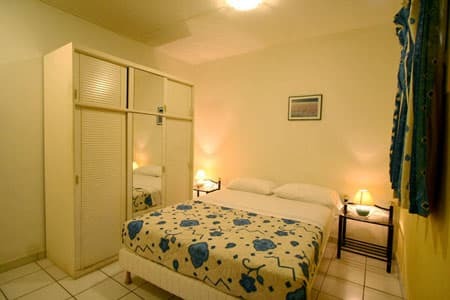 The residence has two rooms equipped for the disabled.